When it comes to blooming, Tuff Stuff Ah-Ha® hydrangea can't stop, won't stop! 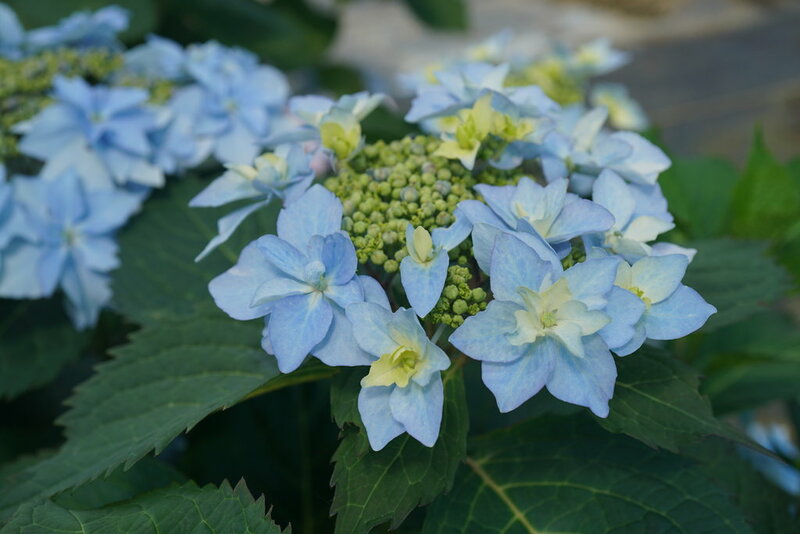 At first glance, it would appear that we decided to introduce this beautiful mountain hydrangea solely for its waterlily-like double florets. But that's only part of the story - this is also one of the most prolific reblooming hydrangeas we've ever seen. 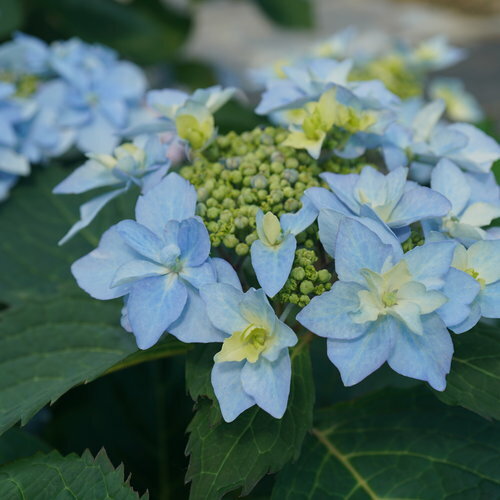 All summer long, it devotes its energies to creating flower buds on its new growth so that you have a constant supply of fabulous blooms from early summer through frost. 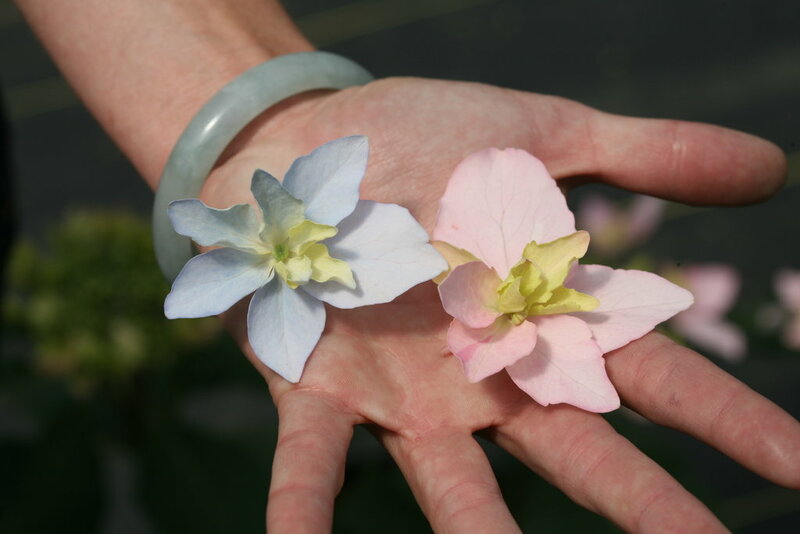 Tuff Stuff Ah-Ha® hydrangea will bloom pink or blue, depending on soil chemistry. Available in better garden centers in spring 2019. Our best rebloomer yet - creates new flower buds all summer long. 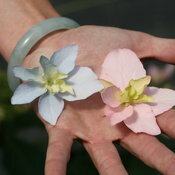 Double florets look like pink or blue waterlilies. Flower buds are more cold-tolerant, which ensures good blooming even in USDA zones 5 and 6. 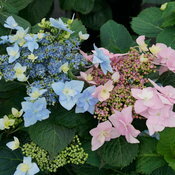 Tuff Stuff Ah-Ha hydrangea works in many landscape applications. We recommend a minimum of 4 hours of sun each day for best flowering and color. In hot climates, shade during the hottest part of the day is imperative. Tuff Stuff Ah-Ha hydrangea does not need pruning except to remove any dead wood in early spring. You should not cut back or trim this plant at any time of the year, as doing so will remove flower buds. 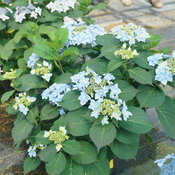 Hydrangeas are shallow-rooted and benefit from a 2-3" layer of shredded bark mulch. If you wish, you may fertilize in early spring, once the ground has thawed, with a granular fertilizer formulated for woody plants, like a rose fertilizer. This plant does not require deadheading, though if you wish to remove spent flowers, you may - we made a video showing how to do this. Mountain hydrangeas, Hydrangea serrata, are native to the same areas of Japan as big-leaf hydrangea, Hydrangea macrophylla. 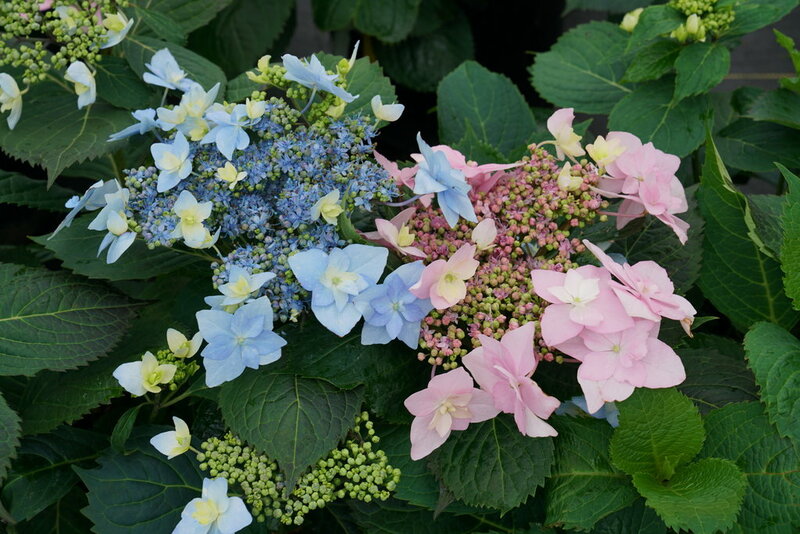 However, big-leaf hydrangeas grow along the mild coast while mountain hydrangeas grow up in the mountains. 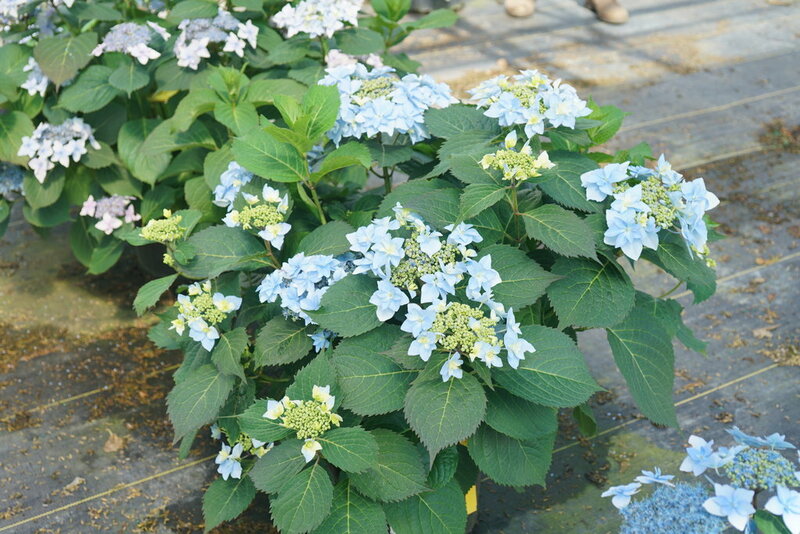 As a result, they have naturally developed flower buds that are more tolerant to cold conditions than big-leaf hydrangeas, so they bloom more reliably in USDA zones 5 and 6.